Newton Aycliffe 1st XI v Redcar 1st XI – weather was cloudy and warm. Aycliffe won the toss and chose to bowl first. Aycliffe first team had an excellent win at home to Redcar first team by six wickets to give them their fourth win in five games. 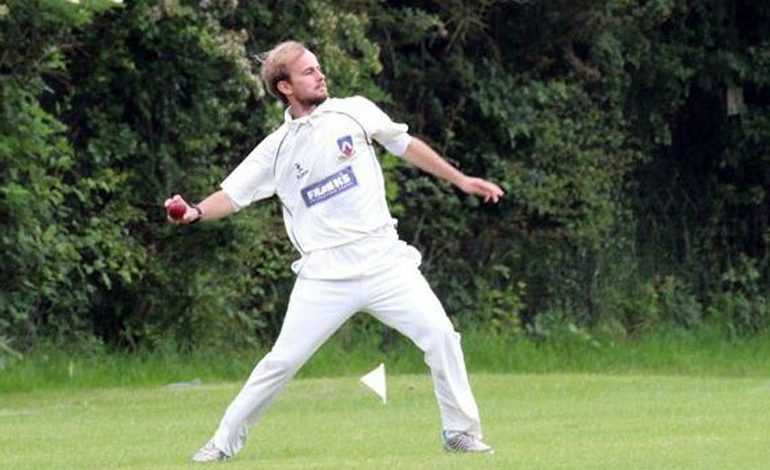 Jack Slatcher (pictured above, sponsored by Dean and Tina Greaves) was given the man of the match award after finishing with 5 wickets for 45 runs from his marathon 13 over spell, which was his best bowling performance of the season so far. Aycliffe’s recent run of good form has seen them rise to third in the 2nd division table with 136 points from 8 games played and right in amongst the teams fighting for promotion.